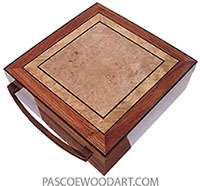 This box is made of thick Bolivian Rosewood veneer vacuum laminated over alder. 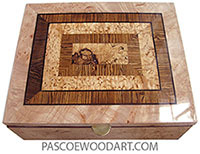 The top has maple burl stripe inlay. 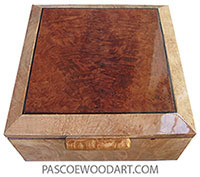 Indivisually handmade wood box, made of Bolivian rosewood with maple burl stripe center inlaid top. Last updated November 12, 2015. Posted September 13, 2015.